The fanatics of the so-called Islamic State have struck Pakistan with yet another heinous suicide bombing this week, yet the preachers of hatred within the country continue to propagate for the good ‘terrorists’. 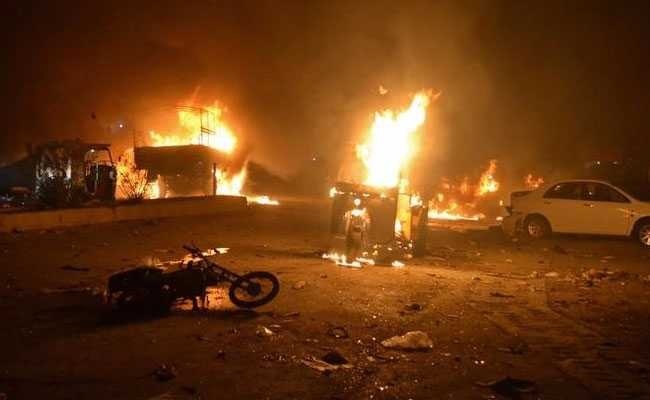 After a relative peace period of some years, on Friday Pakistan witnessed a large scale suicide bombing in the south-western Baluchistan province, which had claimed close to 130 lives. A political rally of local politician, Siraj Raisani – who was seen as a politician hand-picked by the establishment for the forthcoming elections with the newly established BAP (Baluchistan Awami Party) – was targeted. The Islamic State’s claim of this attack signifies the growing influence of the religious fanatics in a country where many are still justifying terrorism across the border in Afghanistan as a ‘holy war’. Despite Islamabad’s constant rejection of allegations that it promotes and uses terrorism as a foreign policy tool, the fingers pointed towards the capital this time around were simply too many to ignore. It is naive to assume that a logic that breeds destruction on this scale would not only result in ultimatiley harming the country in its entirety. Let us look at it from this perspective. Earlier this week, a conference of leading Islamic scholars from around the world convened in the Saudi Arabian cities of Jeddah and Makkah to condemn the ongoing violence in Afghanistan and express their support for a comprehensive resolution to the war that has ravished the country since 2001. Over 100 prominent Muslim scholars and more than 200 representatives from 57 countries participated in the conference, which called for dialogue, reconciliation, and tolerance. Pakistan’s representation in this crucial conference was almost nominal. During the conference, the religious scholars denounced the Taliban-led insurgency and suicide attacks in Afghanistan for causing casualties and damages to the innocent civilians. It is a known fact that the Islamic State fighters in Pakistan – as well as Afghanistan who carried out the latest bombing in Baluchistan – are not foreign Arabs from other parts of the world; they have been educated and trained by people like Sami-ul-Haq to kill anyone opposing their religious views.